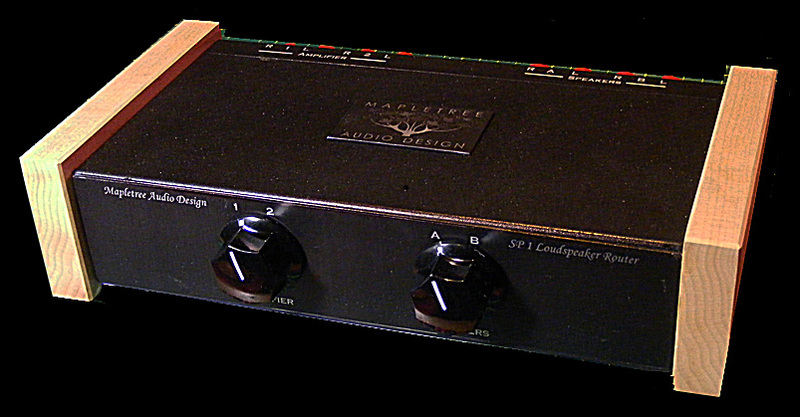 Mapletree Audio Design offers a unique range of products designed and hand crafted by Dr. Lloyd Peppard and Dr. Al Freundorfer, both electrical engineering professors. 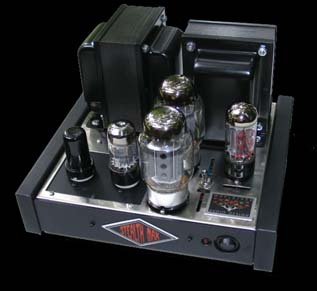 Our goal is to foster the enjoyment of recorded music through the use of vacuum tube amplification and signal processing, offered at a reasonable price. Chassis color is textured black with natural maple, natural oak or black oak side panels. 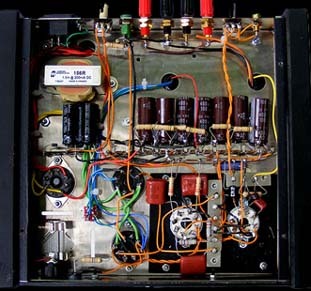 Includes NOS 12B4A output tubes and Tesla 5751 driver tube. See product description below for more details. Click on the User's Manuals tube image above to view a copy of the latest Ear+ HD II manual. < Why wait? This unit with maple side panels is available at a discount price of $750 USD with free shipping! 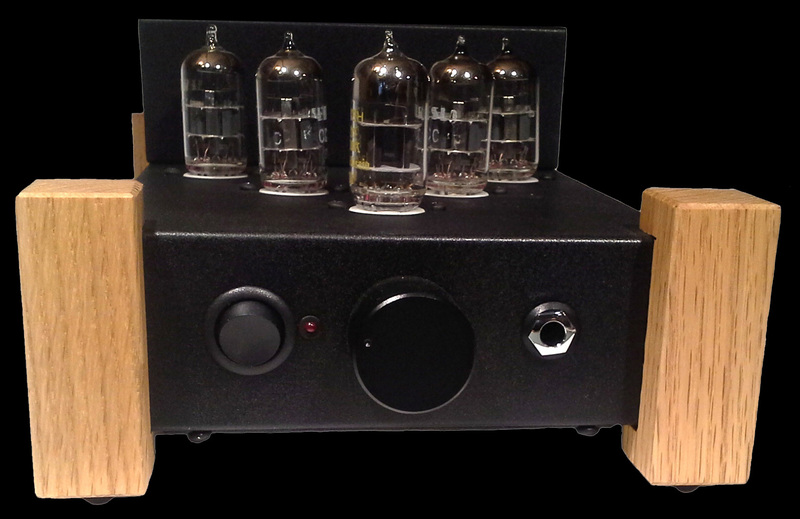 The Line 2C preamplifier now includes a front panel Home Theatre (HT) bypass switch effective on all inputs. This permits powering off the preamp circuitry when the input signals are used to drive the front channels of a home theatre system. 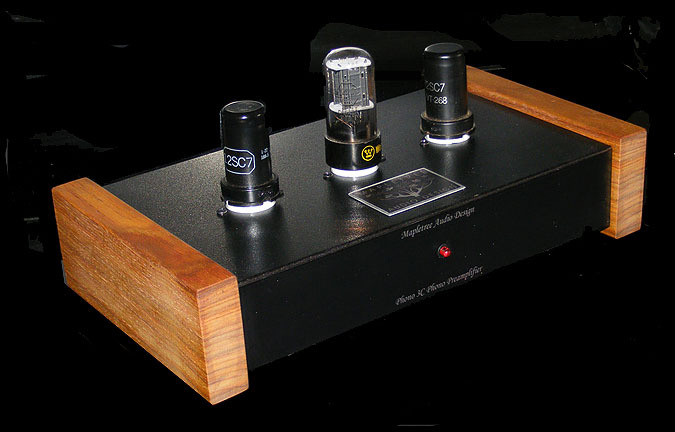 The HT signals are completely isolated from the preamp output circuitry. The new PS 2D power supply uses high speed solid state bridge rectification for the plate voltage supply, in addition to the regulated dc heater supply. Chassis color is textured black with choice of natural maple, natural oak, or black oak. 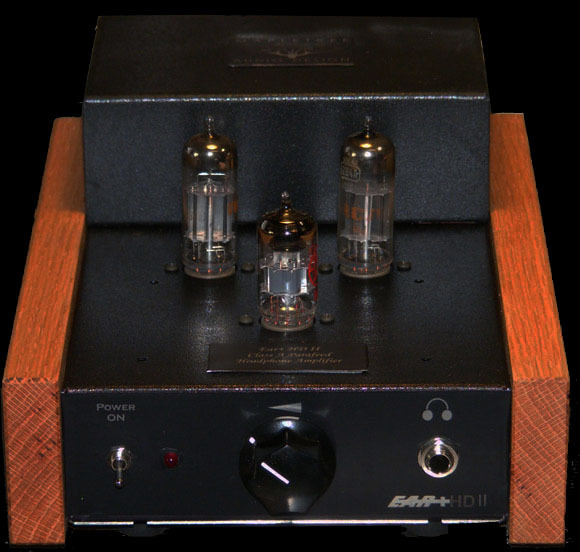 Includes NOS 12SN7 tubes and is compatible with most new or old stock 6SN7 tubes. See product description below for more details. 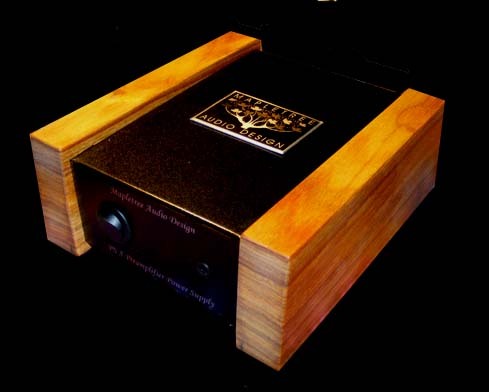 Review of Line 2B SE by Tim Smith at wall of sound. The Line 2C has been upgraded to accommodate a Home Theatre (HT) mode in which the selected input source is passed to the output jacks, which are automatically disconnected from the active circuitry (preamp can be turned off). • Premium passive components - Panasonic polypropylene film coupling capacitors and Alps volume control. • Optimized circuitry for lowest distortion and noise. • 3 inputs, 2 outputs, volume and balance controls. • Front panel Home Theatre (HT) mode switch effective on all inputs. 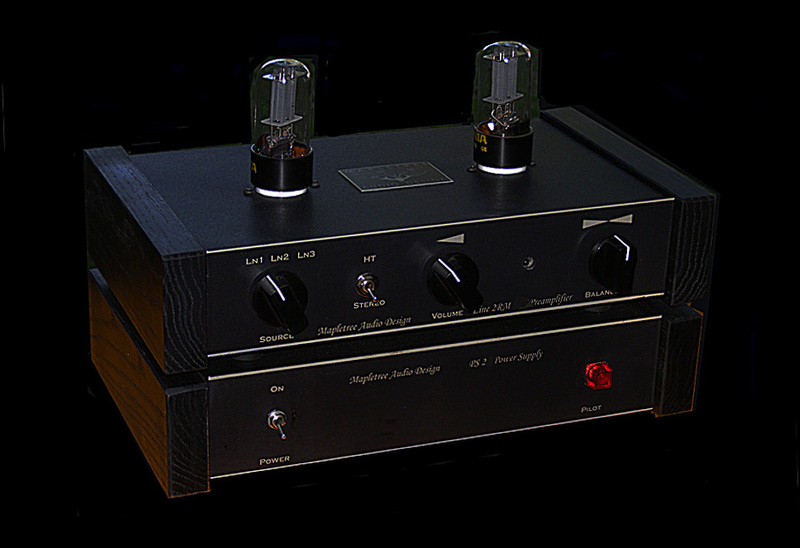 • 2 x 12SN7GT with rear panel switch for 6SN7GTB tubes. • Separate PS 2D power supply included - all solid-state for low noise and enhanced reliability. Line 2C RM available with Bent Audio/Alps remote volume control (below). • Premium passive components include polypropylene film coupling capacitors and Alps volume control. 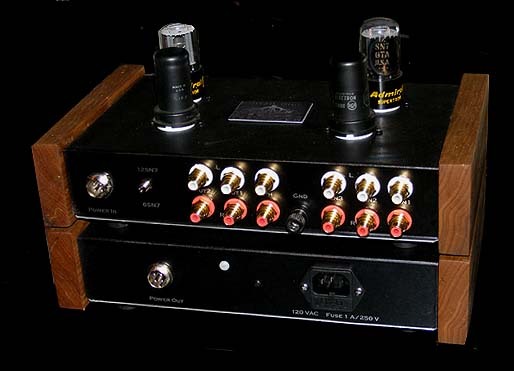 • 48 dB phono gain, three 18 dB line inputs, two line outputs. • Volume and Balance controls. 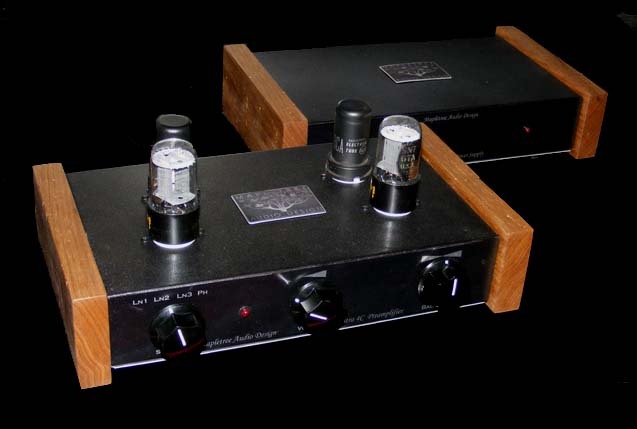 • 2 x 12SN7GT (switchable for 6SN7GTB) and 2 x 12SC7. • Separate PS 2D power supply included. Ultra 4C RM available with Bent Audio/Alps remote volume control. 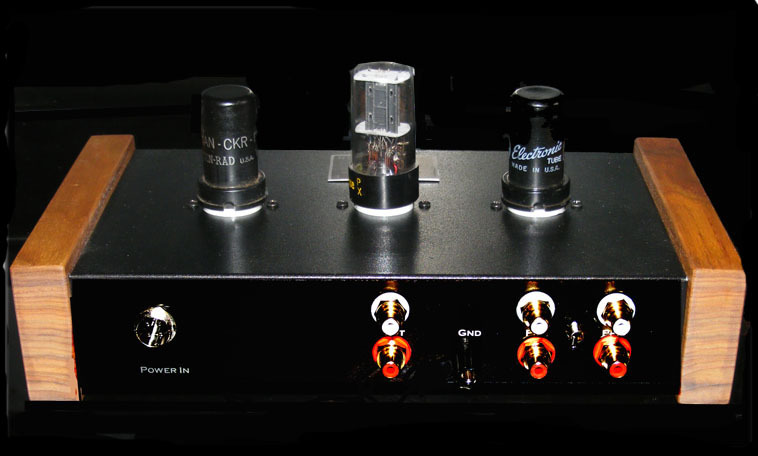 For a number of years, customers have asked about a separate phono preamplifier that embodies the characteristics of the phono stage of the Ultra 4. 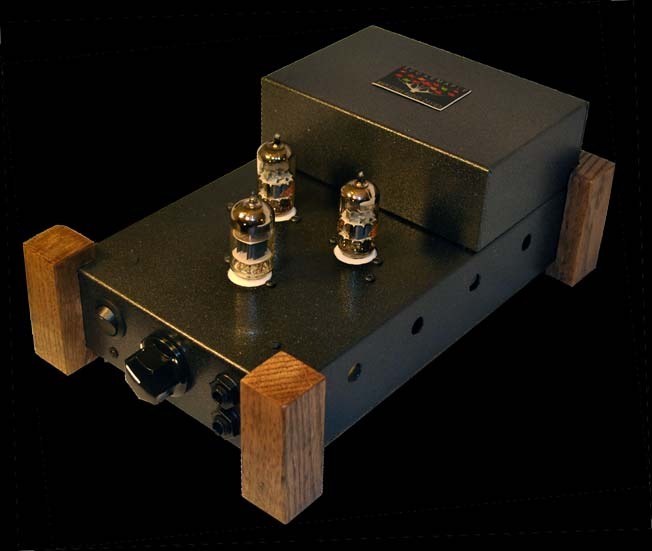 The Ultra 4 is really a phono preamp with line inputs, volume/balance controls, and source selector switch. 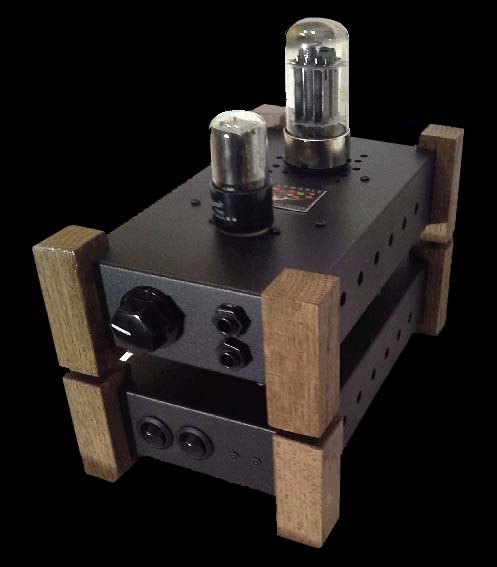 The phono gain of the Ultra 4 is around 48 dB which is suitable for MM cartridges driving a typical tube or solid-state power amplifier. The Phono 3C preamplifier incorporates the low-level gain and equalization stages of the Ultra 4C without the output buffer and with around 10 dB less gain. Thus, it is suited to drive the line input of a preamp or integrated amplifier that can supply the additional 5-10 dB of gain required. 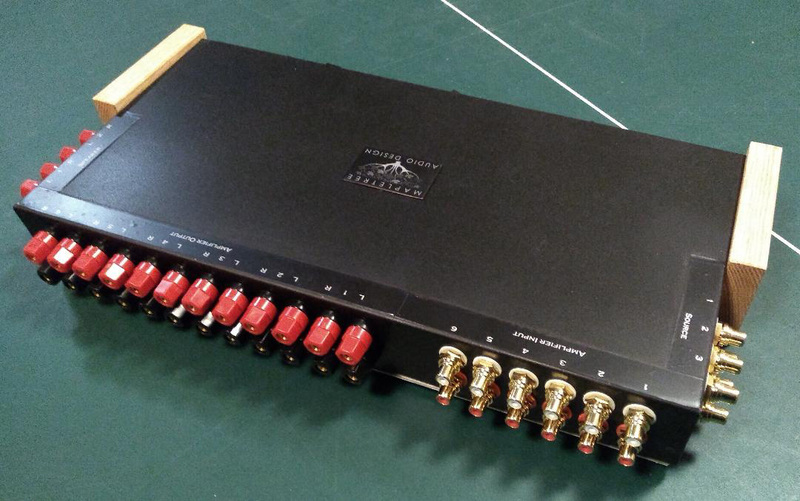 The Phono 3C output has a driving impedance of around 2.5 kOhms, which can drive a reasonable length of interconnect without compromising the high frequency response. Noise at full output is less than 2 mV. 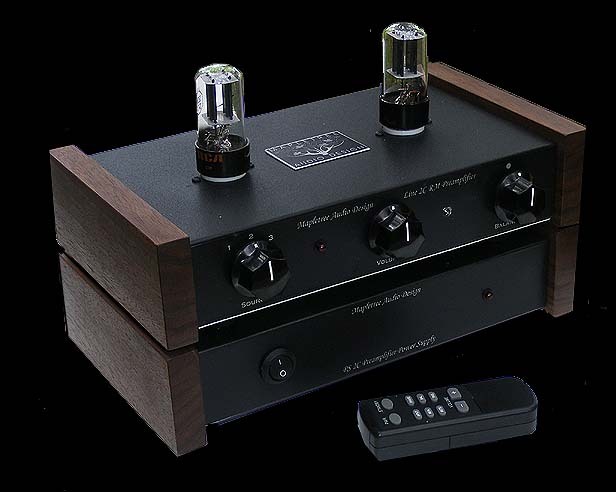 Like the other Mapletree preamps, the Phono 3C is designed to use a separate power supply. Normally, for stand-alone use, this is the compact PSX unit shown. However, the Phono 3C is fitted with an extra power jack on the rear panel (not shown in the photo above) to permit connection of the PS 2D power supply to both the Phono 3C and Line 2C preamps without any modification. 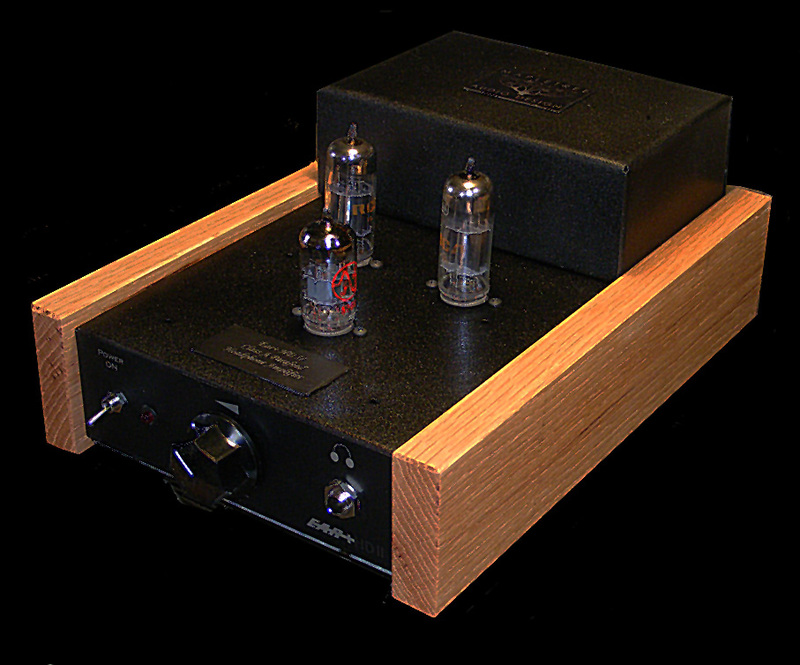 Two switched phono inputs are provided, which can be ordered with custom loading specs. Details and full specifications can be viewed by downloading the User's Manual from the "Users Manuals" page. Layout designed to facilitate tube rolling. 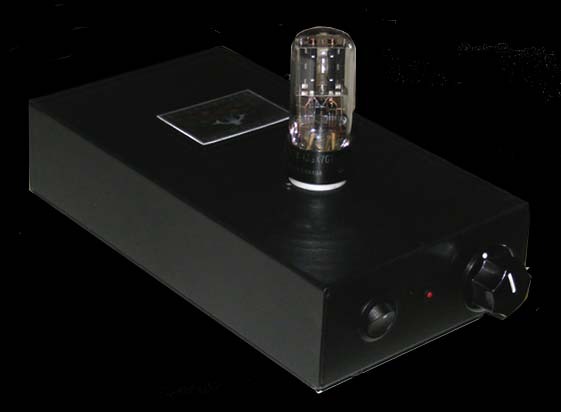 Sweeten the sonics of your DAC or other digital source with the Black Buff line stage. It features unity gain, 50K input impedance, less than 500 Ohms output impedance, and includes a volume control and heater voltage switch for use of either a 6SN7GT or 12SN7GT tube (supplied). Download the User's Manual for complete specs. Delivers 50 W with KT88s running class AB1 ultra-linear with fixed bias. 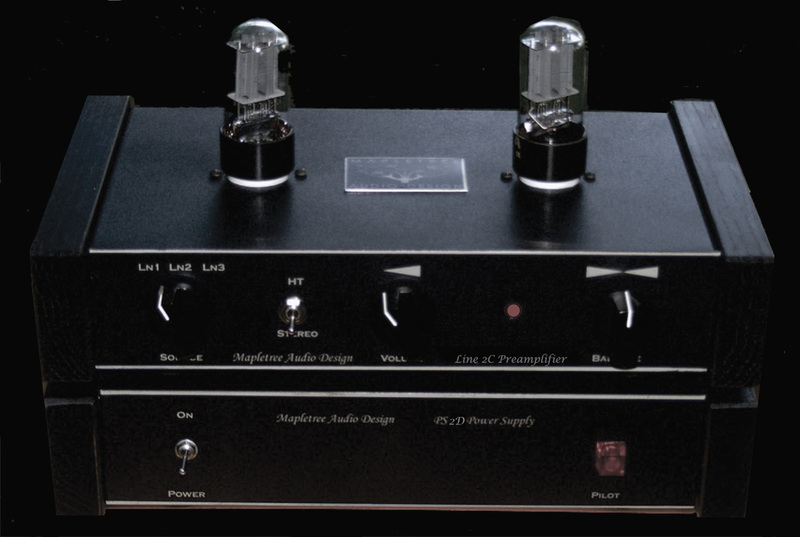 Includes a triode mode switch. 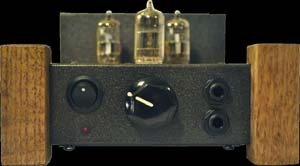 Built on a stainless steel Dynaco Mk III chassis with Mullard topology driver circuitry (6SJ7 voltage amplifier and 6SN7GT long-tail phase inverter), Dynaco spec output and power transformers, premium passive components, and a very stiff power supply, the sonics are effortless and open, especially noticeable on high level transients. 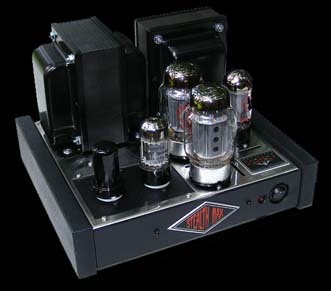 The Super Stealth+ monobloc power amplifier features proven Mullard driver circuitry and a 30 W power output using EL34 tubes. • Balance control for soundstage optimization to match individual headphone hearing characteristics. • Front panel source selector switch for two line inputs. • Passive preamp output bypassing the active headphone circuitry while retaining the volume/balance controls. • 2 x 12B4A NOS and 1 x 5751/12AX7/ECC83 tubes. • Low impedance headphone output compatible with a wide variety of headphone characteristics. • Premium passive components include Panasonic polypropylene output capacitors and Alps volume control. • Ultra high-speed rectifier diodes in power supply. DC heater voltage. • Textured black chassis with choice of natural maple, natural oak or black oak side panels. 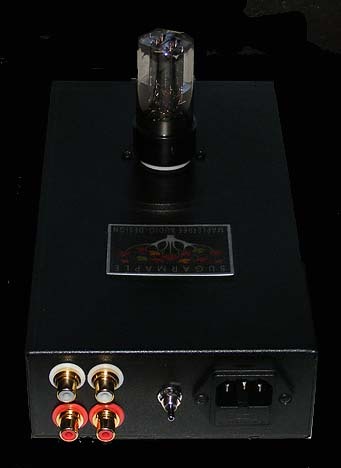 The OD300 (Octal Duo) Headphone Amplifier employs an all-octal tue lineup including a 6080 (6AS7G equivalent) output and a 6SL7GT triode driver stage. Polypropylene output caps are standard and circuit refinements ensure a perfectly flat frequency response from 20 Hz to 20000 kHz. The high output power (over 1 W into 16 Ohms!) and low driving impedance of the 6AS7G easily handle any headphone sensitivity and impedance characteristic. For more details and complete specifications, you can download the User's Manual. "The OD300 sounds great after settling in and combines musical dynamism with a lovely euphonic quality." (such as Sennheiser HD600-850). It is output transfomerless! Inquire for more details. Note: Images are shown for example only. Chassis and layout are selected to meet specific customer requirements. Customers often have specific requirements that can be met with custom features and/or modifications to existing Mapletree products. Usually, these can be accommodated at nominal extra cost. The most modifiable components are those disigned to route signals and/or reconfigure system components, namely the LR 1 Line Router, the SP 1 Amplifier/Speaker Selector, and the SCC 1 System Configuration Controller. Here is a brief summary of what is available. More information can be obtained from the Branches 7 Newsletter. LR 1 Line Router - The standard version is designed to switch one of up to three input stereo signals to one of up to three outputs. Other configurations are available to handle up to 6 inputs and/or outputs. Chassis sizes are chosen to accommodate the required I/O connections. As with all the Mapletree switching components, RCA jacks are high quality gold plated with inside and outside hex nuts, switches are Lorlin or C&K enclosed rotary types with silver-plated contacts, and wiring is silver-plated stranded copper with Teflon insulation. LR 1 Pro Line Router - This is a balanced signal version of the LR 1. The standard model can switch up to 3 inputs and 3 outputs. Additional I/O can be accommodated using special multi-deck rotary switches. XLR connectors are Neutrik gold-plated type with locking tabs on the female version. < Custom LR 1 Pro with 4 inputs and one output. "I received the switch [LR 1 Pro] today and it is exactly what I wanted and works perfectly - no noise at all when switching. 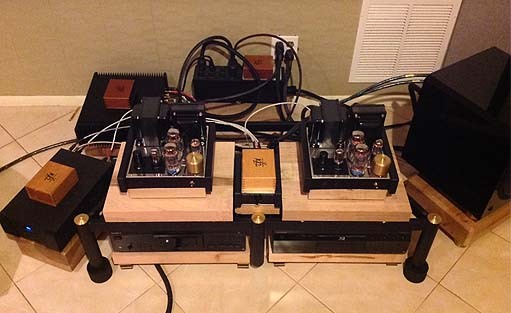 I have bypassed my preamp for my DAC and LPs and have a sonic improvement". SP 1 Amplifier/Speaker Selector - The simplest (standard) version switches the stereo output of a power amplifier to one of two (or both) speaker systems. 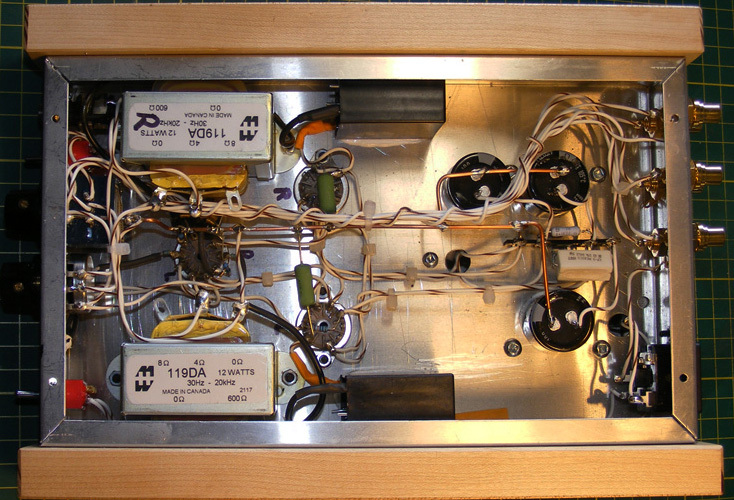 A typical modification is the addition of a switch for one or more amplifier inputs. All switches handling amplifier output or speaker connections are high-current rated versions of those employed in the LR 1 line router. Multi (>2) speaker switching uses toggle switches (see below). 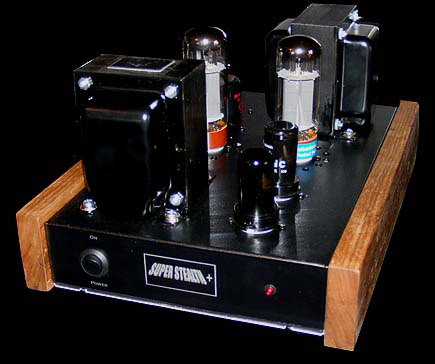 All amplifier inputs are terminated with suitable load resistors and binding posts are heavy-duty 5-way dual units. SCC1 System Configuration Controller - This is a custom combination of the LR 1 and SP 1 that allows switching of several sources to one or more preamps or headphone amplifier, preamp outputs to one or more power amplifier inputs, and power amplifier outputs to one or more speaker systems. "[The SCC 1 is] simple elegant and effective. Does exactly what I needed it to do and has significantly reduced the effort involved in switching between components. Just a wonderful product".